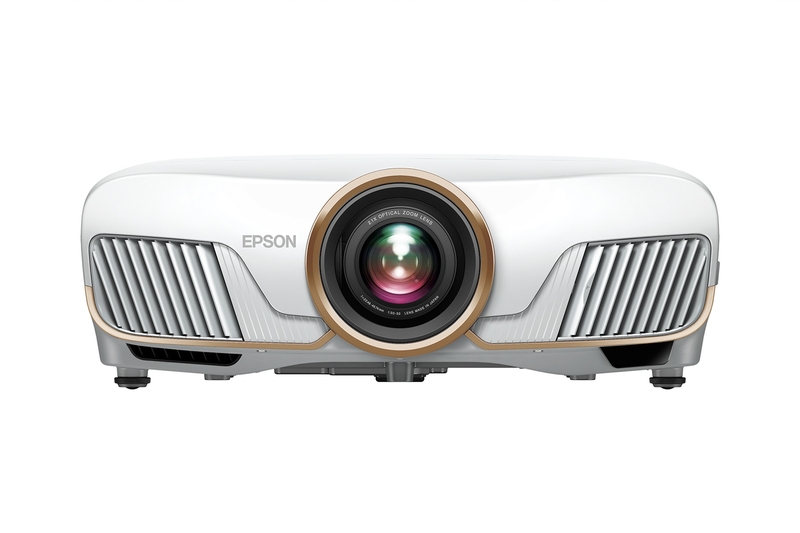 LONG BEACH, CALIF. – April 9, 2019 – Epson, the number one projector manufacturer in the world1, today introduced two new Home Cinema projectors designed to deliver an immersive 4K experience to DIY home theaters. The Home Cinema 5050UB and wireless Home Cinema 5050UBe 4K PRO-UHD®2 projectors feature 2,600 lumens of equal color and white brightness3, HDR104, and Epson UltraBlack™ technology to display an incredible range of color and detail in both bright and dark scenes. Leveraging full 10-bit color output – plus proprietary dedicated processors for resolution enhancement, HDR and image processing – the new Home Cinema 4K PRO-UHD2 projectors display incredible color accuracy, brightness, and image detail to faithfully display content the way it was meant to be seen – on the big screen with bright, full color and stunning resolution. 2 4K Enhancement Technology shifts each pixel diagonally to double Full HD resolution. Resolution is Full HD in 3D Mode. 5 Entire DCI-P3 color space can be displayed in Digital Cinema Mode only.